This is exactly how I feel about my music. And, in general, I relate to this incredible artist very much. The anxiety. The bouts with mental illness. Sometimes I wonder if it’s all a part of the brilliantly artistically gifted: you can have the creativity and be able to produce works of marvellous beauty, but the pain, the torment, the feeling that you really don’t belong here, all go along with it. It is very, very sad. But, it is our existence. And, I suppose if you gave me the choice between being “happy” (whatever that is) and my ability to sing and make music, I would choose the latter. But, what I am writing specifically about in this post is this issue of obscurity rather than our shared mental health problems. According to Wikipedia, during Vincent van Gogh’s life, his work was known only to a handful of people and appreciated by fewer still. Hmm, that certainly sounds all too familliar. Of course, not all artists are doomed to live in this obscurity, only being appreciated and finding acclaim for their contributions posthumously. Not all of us are alike. There isn’t a great artistic brotherhood (just like there isn’t some great sisterhood of women, either…but, I digress – yes, again! – that’s a post for another time); we aren’t all cut out with cookie cutters. Some of us aren’t tortured as badly as others and some of us do get discovered (and appreciated) whether tortured greatly or not prior to leaving this ill-fitting world. I do wonder what it’s like to be in that category, but that has not been my lot. 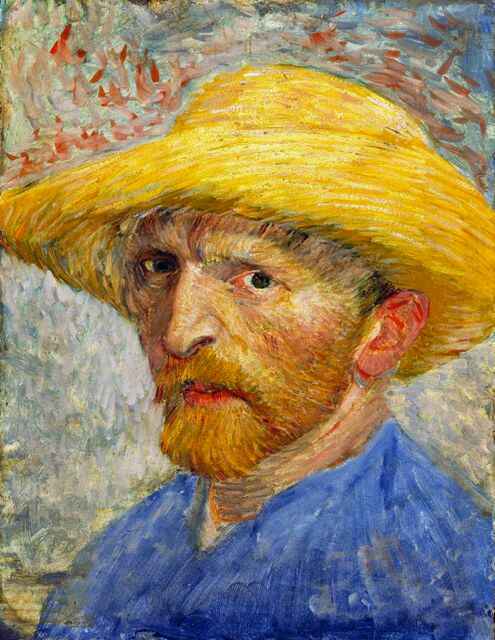 Vincent van Gogh was 37 when he died. I am 38, nearly 39. I feel old. I feel passed it. And, my entire life – artistically speaking – has been this quote. When I saw it today, shared on another artist’s Facebook wall, it knocked the wind out of me. I felt like I had been struck. I physically hurt when I read it. Because, I know this experience, and it has been my experience for nearing four decades now. And, so, this is simply my lament for myself (yes, another pity party for a pitiful nobody of a singer/songwriter), and it is my celebration of van Gogh – who was brilliant and sad and who painted the sky not on canvas only, but on the very fabric of our hearts. His work hangs, no longer belittled or thought of no worth, now admired, acclaimed, sung of, cherished and highly valued. I wonder what it would have been like if his paintings had been considered with such value when he was alive. One thing I can say – back to the mental health thing – it would not have changed his mental state, it would not have chased the demons away, but what it would have done is to provide validation to the living man and put bread on his table; it would have fed both spirit and body. How am I so certain of this? Because, that is what it would do for me. Now, a last note must be made here. To the precious few who do support my music, I want to make sure you know how grateful I am for you. I would never want you to think that I’m ignoring you; I want you to know that you mean a great deal to me – you are a tiny, but beautiful, spark of validation in a black sky that would otherwise be solid darkness; I appreciate you very much. But I needed to write this post because of how this quote affected me. I needed to write it for me, and for him.